Various trends have made the risk of losing in litigation more than mere disappointment. 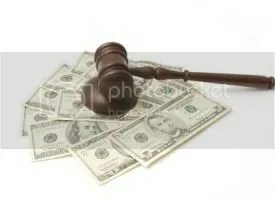 Litigation is more expensive than ever, litigants are seeking more ways to recover their payment of litigation expenses, and legislation has provided additional methods of recovering attorney fees for frivolous litigation (among other theories). Thus, litigators have an increasing need to stay abreast of such rules. In early February, attorneys all over Georgia anxiously await the annual Abusive Litigation Seminar. The speakers includes well known attorneys in the professional liability bar, including the Presiding Frank Beltran and Charlotte Perrell, and HPTY attorneys Christine Mast (OCGA 9-15-14) and Kim Jackson (OCGA 51-7-80). The speakers also includes many repeat speakers, with all of the attorney speakers spending at least 10 years speaking in this CLE program, including the aforementioned and James Penland and his outstanding program on OCGA 13-6-11 and Hugh C. Wood who addresses various fee shifting rules. The program includes presentations by Robert Benham, Justice of the Georgia Supreme Court; J. D. Smith, Justice of the Georgia Court of Appeals; and T. Bedford Jackson, Judge of the Fulton County Superior Court. Another large turnout is expected at this popular CLE program. If you have not seen this CLE, or if you need a refresher course, sign up now here.